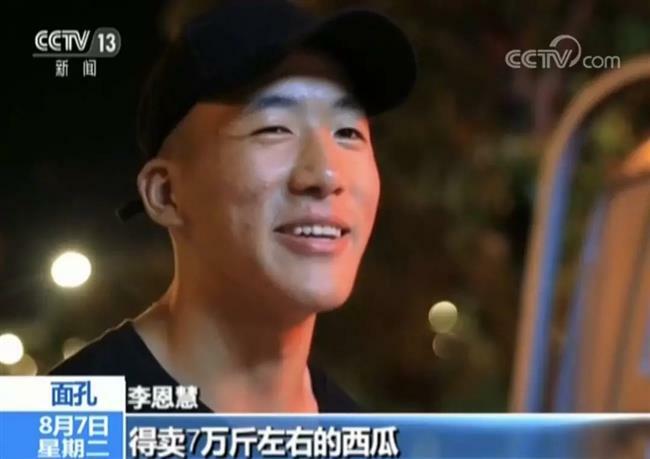 An 18-year-old teen from east China's Zhejiang Province plans to sell 3,500kg of watermelon during summer to earn 14,000 yuan (US$2,052) for college tuition, China Central Television reported. 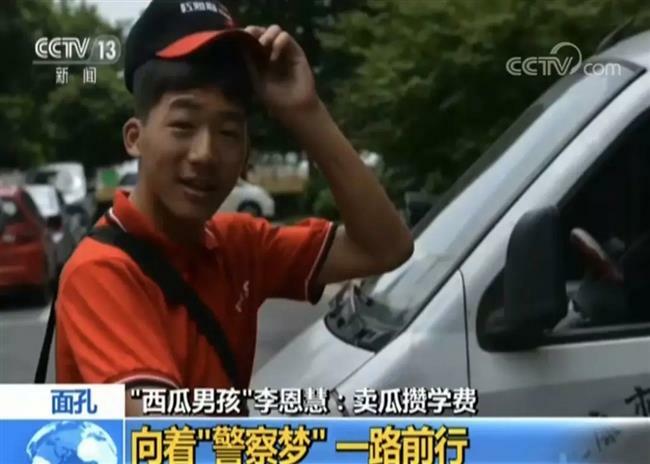 Li Enhui, known as “watermelon boy,” was adopted 18 years ago and grew up in a poor family. 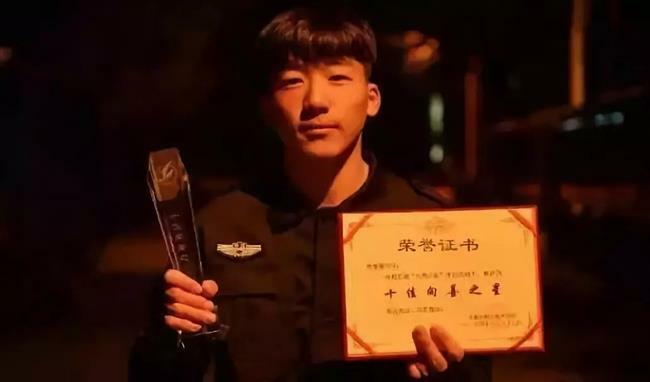 He has always dreamt about being a policeman and was successfully enrolled by Zhejiang Police College this year with skill grades ranking him third, plus total grades making him the 50th best in the province. He has earned his tuition and living expenses on his own since he began senior high school. He has worked as a kitchen helper, dishwasher and deliveryman. Li began selling watermelon around 7am every day and is currently capable of making a little over one hundred yuan from his daily sales. He has already amassed more than 8,000 yuan. He has refused cash donations and insisted on making money himself — he appreciates people buying watermelon from him and those volunteers who offer him a helping hand. Li said he will be a good policeman in the future to pay society back. It is always nice to see young people willing to work there way through school. More Chinese little emperors and empresses should follow his example; they rely too much on their parents, from cradle to adulthood, even want papa to use his retirement savings to buy him a house to get married, because Chinese girls demand 'house and car' before talking marriage!